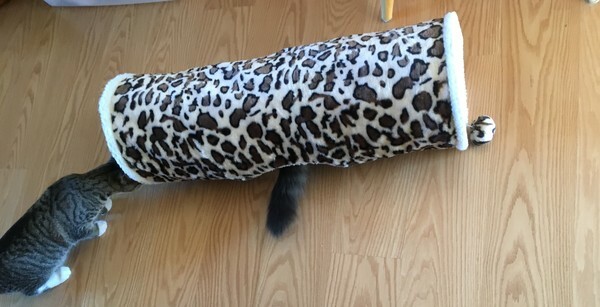 New Toy: Cat tunnel. They seem to like it. 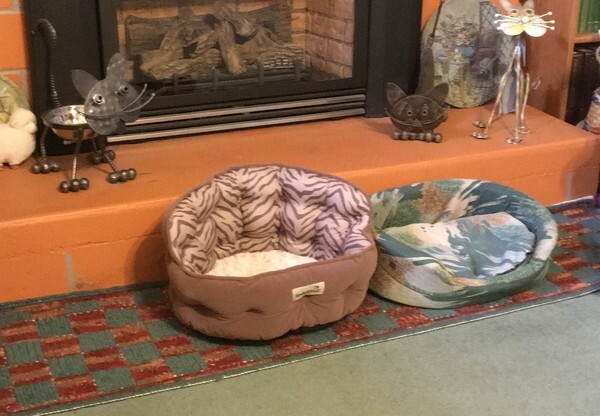 They use it to travel between the dining room and the living room. They tried fighting in it but found it too confining. New Bed: The boys had been fighting over the one and only cat bed we had (even though they could both fit if they tried) so we went to Bosley's and paid 40 bucks for a nice, plush, comfy new bed. They sniffed it when we first brought it in and have ignored it ever since. New Foot Stool: This was NOT purchased for the cats. It was supposed to be mine but the boys have taken to napping on it. What can I say. They are just as spoiled as our dear, sweet Angel was. 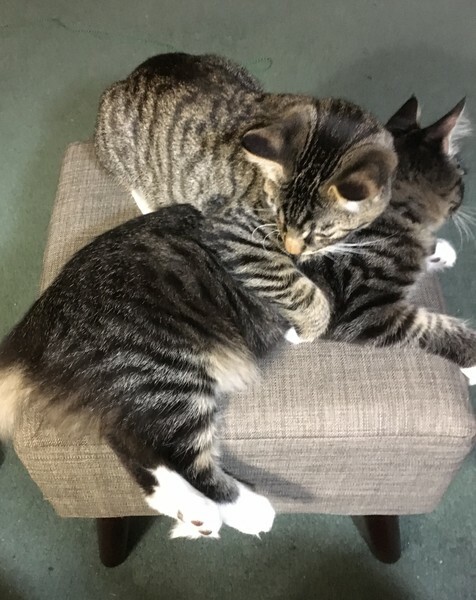 All good tips for me, as I am looking forward to fostering two wee kitten siblings, which I plan to adopt, as I will fall in love with them and be unable to give them up. I love the tube and it's potential for kitty fun. They are adorable. I just bought Jose a new, heavy sweater for our walks. It is too hot for now so I haven't tried it on him. Maybe act like that's YOUR new cat bed for yarn or something and then maybe it will be more popular. I like that tunnel, but how is his tail sticking out in the middle? Are there holes in the sides? There is just one big hole in the top but they keep rolling it over when they walk through.